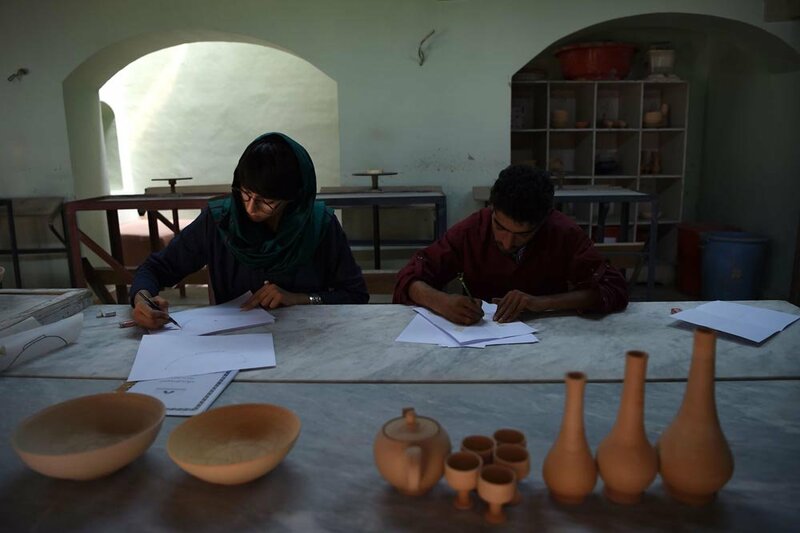 KABUL: Ceramics, carpentry, calligraphy and gem cutting: centuries of Afghan craftmanship honed on the ancient Silk Road are being preserved in Kabul, a rare success story for an aid project in the war-torn country that organisers are now hoping to replicate with refugees from Syria. 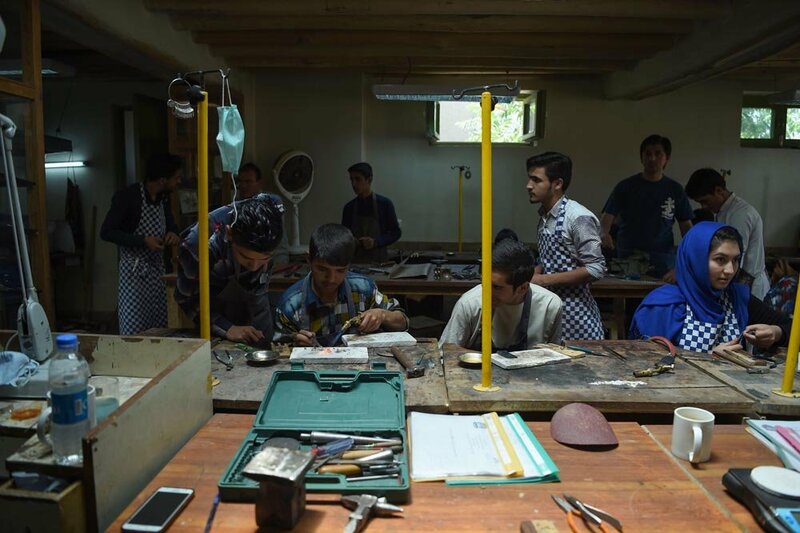 In the sixteen years since the fall of the Taliban, the Turquoise Mountain foundation has found some of Afghanistan´s best artisans and helped them preserve and pass on their skills, as well helping them showcase their work in international markets. 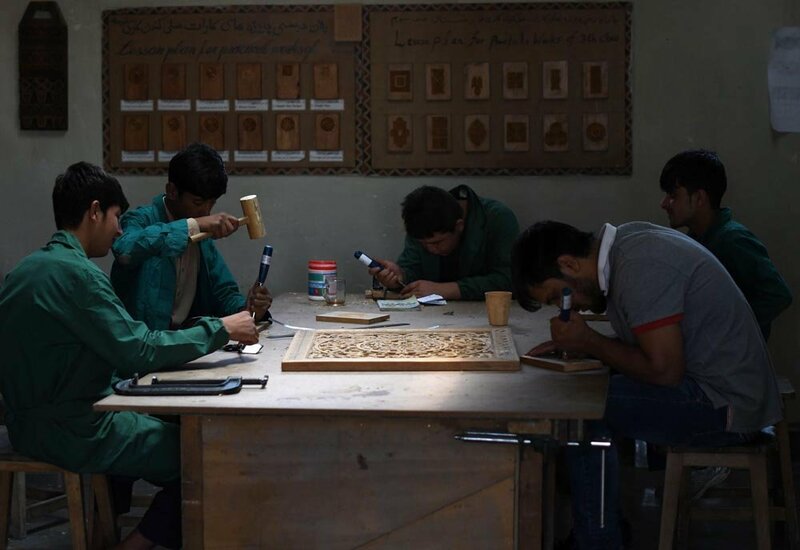 A painstakingly restored caravanserai -- a roadside inn -- in Kabul´s oldest district is once again a hub for exquisite woodwork carvers, potters making traditionally-glazed ceramics, Islamic calligraphers, and goldsmiths. 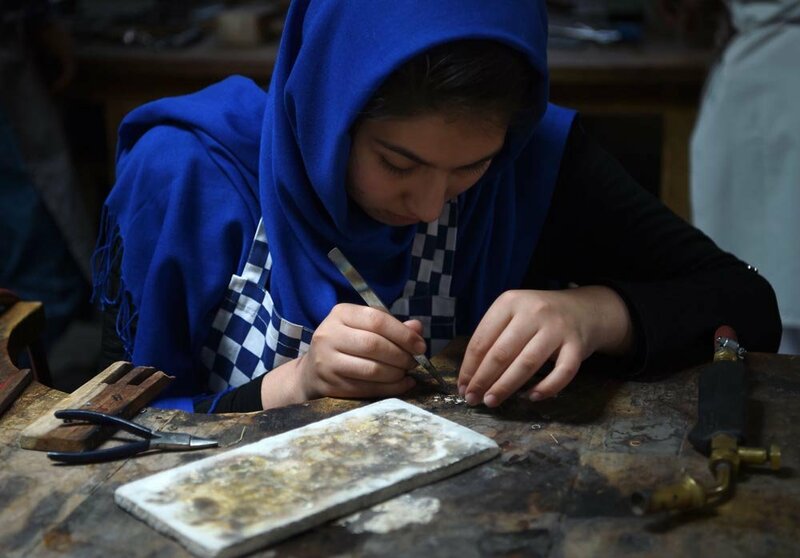 "When we started, there were very few artisans living in Kabul. Most of them were out of the country," said Abdul Wahid Khalili, the nonprofit´s director. "We had to start with the few old artisans we had, it was a very difficult start," he said. 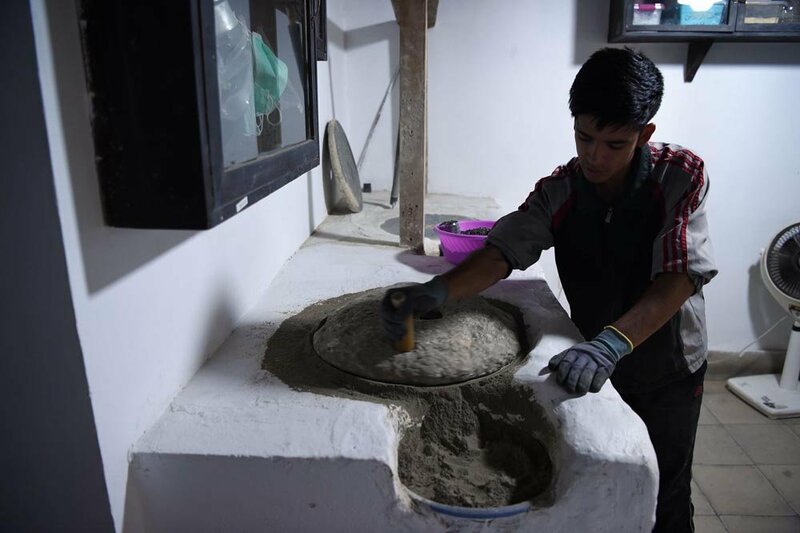 Kabul, a key stop on the silk road, was once renowned for its craftwork, but when Turquoise Mountain began work in 2006 in Kabul´s oldest district Mourad Khani, they had to excavate the caravanserai from tons of rubbish. "For more than 50 years the rubbish had piled up in the yard," he said, adding that they also immediately began training students. "The idea was to restore the (caravanserai) and train the new generation," he said. 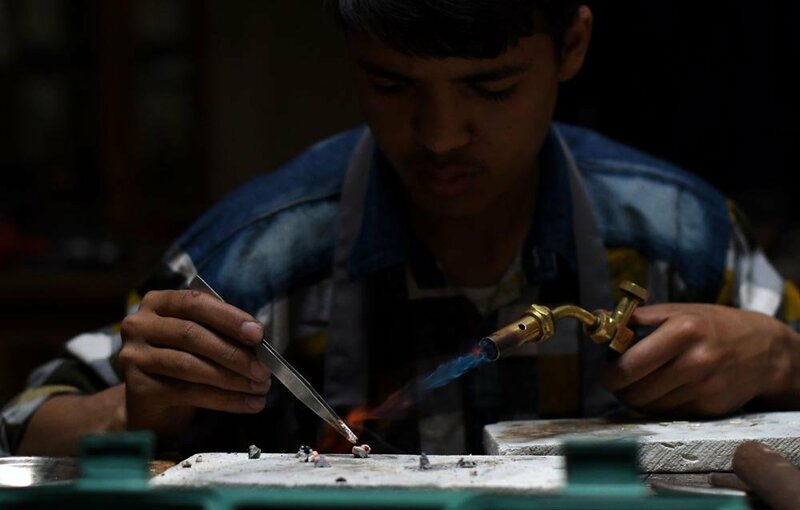 Slowly more and more Afghan artisans joined the collective, preserving priceless skills that many feared would disappear altogether due to decades of war -- a problem that many Syrian craftsmen, who are fleeing their country in droves, now face. First started by British diplomat Rory Stewart, the Turquoise Mountain Foundation, which is supported by Britain´s Prince Charles, the British Council, and USAID, says it has now worked with some 5,000 artisans. 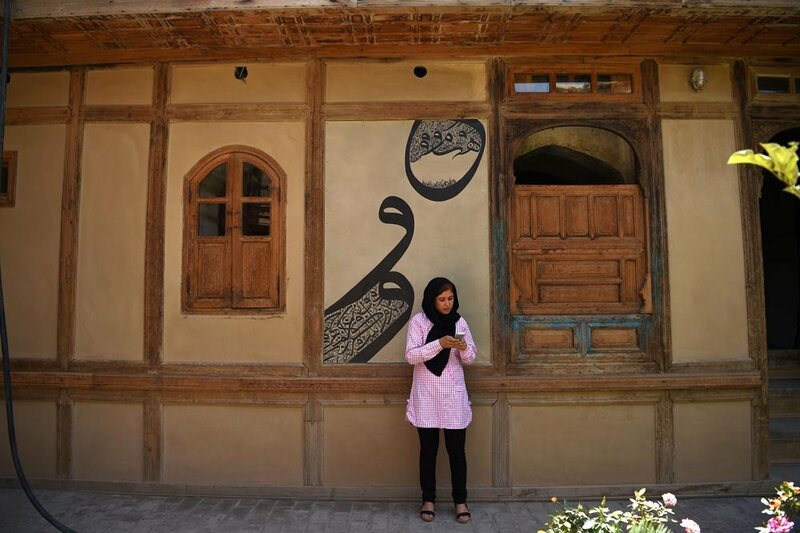 Their efforts have breathed new life into Murad Khani´s ancient silver bazaar, with hundreds travelling every day to the restored cedar paneled courtyard to learn and teach woodwork, calligraphy, ceramics, jewellery and miniature painting. Staff at Turquoise Mountain began by combing Kabul´s streets and knocking on doors in the villages trying to find artisans and students to enroll. Wakil Abdul Aqi Ahmani, 64, is one of the institute´s founding fathers. 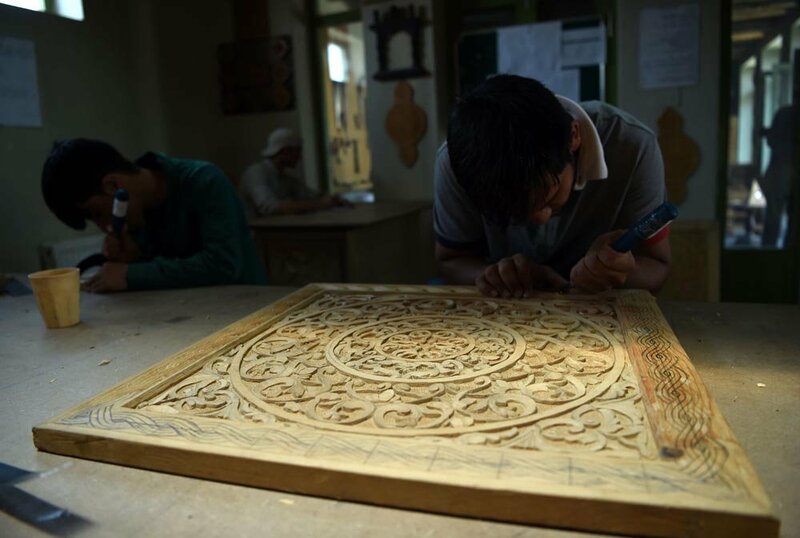 "It´s my heritage, it´s important because we have to preserve the culture of our country," he says, as he leans over his student´s cedarwood panels and explains the art of Jali carving. Turquoise Mountain´s selection process is now more rigorous: more than 500 candidates apply each year, Khalili said, with just 50 taken on, both girls and boys. 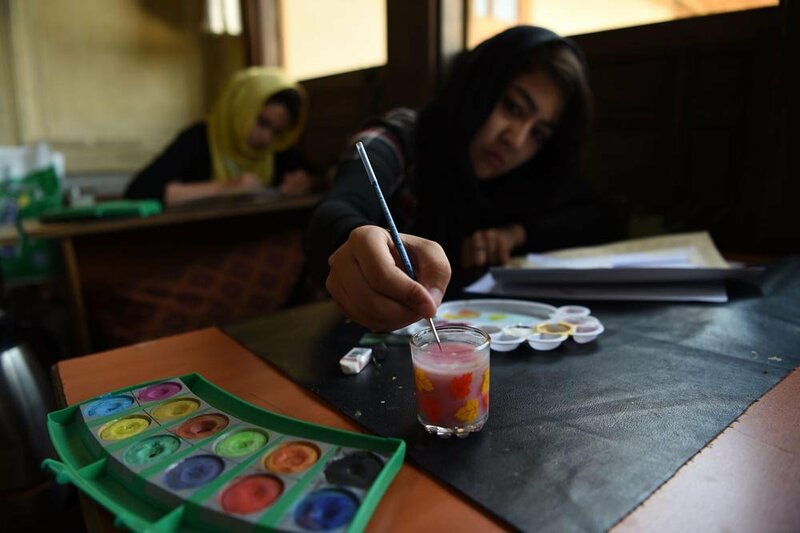 "They show what they learned with their family, in the shops, at the bazaar, with the elders," said Abasin Bahand, who is in charge of the entry exams. "They are all trained, but they are not professional - anyone can apply." The three years of their training are free, the students are fed and housed if they come from the provinces. They are also given a small monthly stipend to cover transport costs. They leave with a double certifications -- Afghan and British. 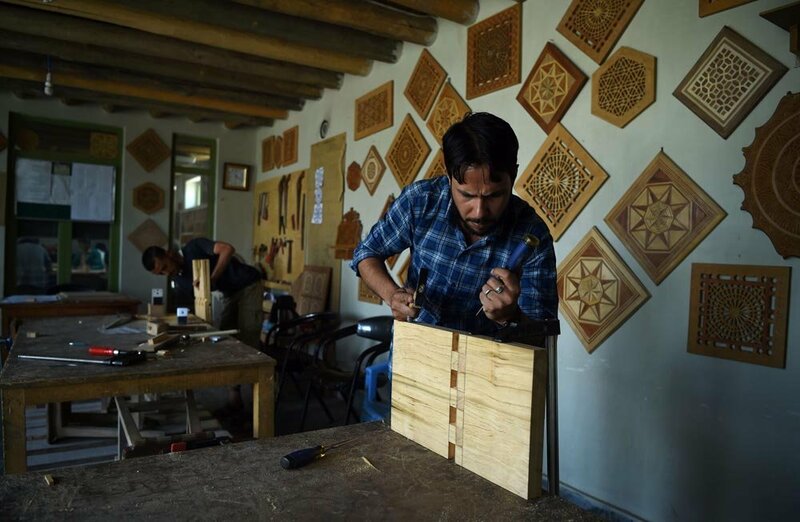 "Eighty percent of our graduates have moved to their own business or are working for other business in the craft they chose," said Nathan Stroupe, the director of the Turquoise Mountain foundation in Afghanistan. Some of their carpentry students have decorated palaces in London and the Emirates, and jewelers have received commissions for New York Fashion Week. "We have a business incubation process to support our students for three years," Stroupe said. "Some of the craftsmen had worked for the King," he said, referring to Mohammed Zaher Shah, who was deposed in 1973. 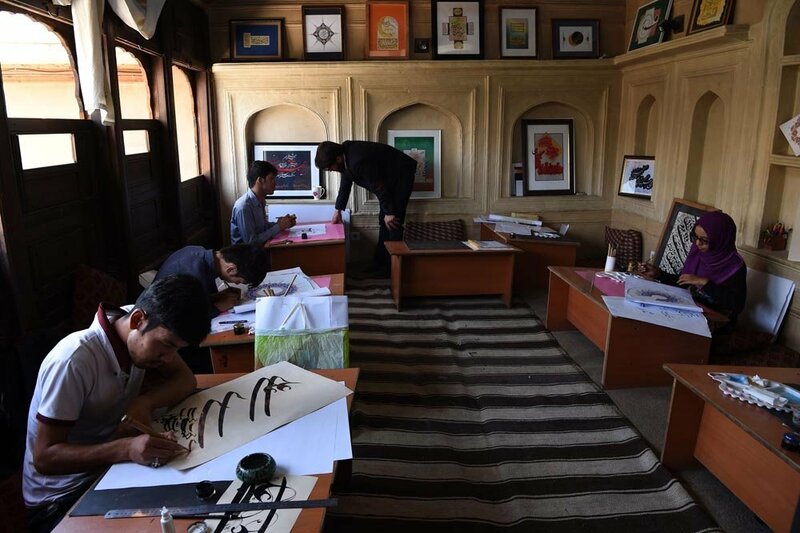 "For Jali and Nuristani carving, we had teachers who were the last in Afghanistan, they passed away. If we were not able to preserve these arts, they would have been lost," said Khalili. "Already there are specific areas we lost -- there are no copper makers left, no bronze makers." "Now we are documenting all those areas, we want to spread (knowledge) all over the country, the idea is to transfer it to community... if not it will be lost again," he said. 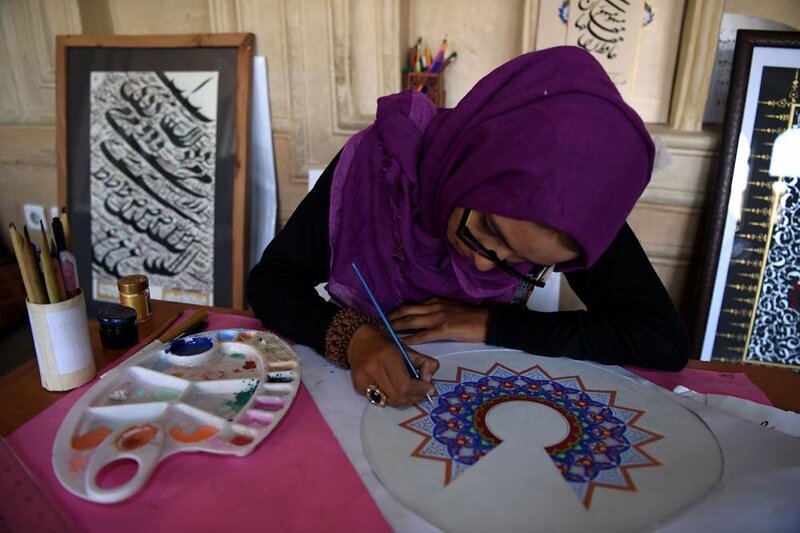 After its successes in Afghanistan, the foundation is looking at wartorn Syria, which is also seeing ancient traditions threatened by an exodus of artisans. "We have already met Syrian artisans in Jordan," said Scott Riddle, a project director who will start work in September. "Some people in Amman have already managed to set up small ateliers. We´re researching in the refugee camp in Azraq, in the desert in the country´s northeast."